Fourth grade students at Holy Trinity Catholic School sponsored a food drive during the Advent season to assist the needy in our community. The students brought in food items totaling almost 500 pounds for the Hancock County Food Pantry. 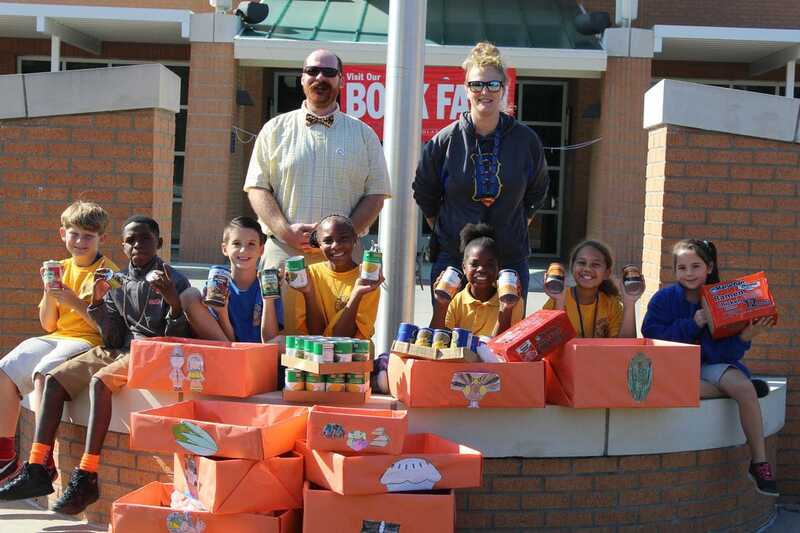 Students at North Bay Elementary School collected 1,562 pounds of food during a recent food drive. All of the food was donated to the Hancock County Food Pantry to help feed families that need assistance. 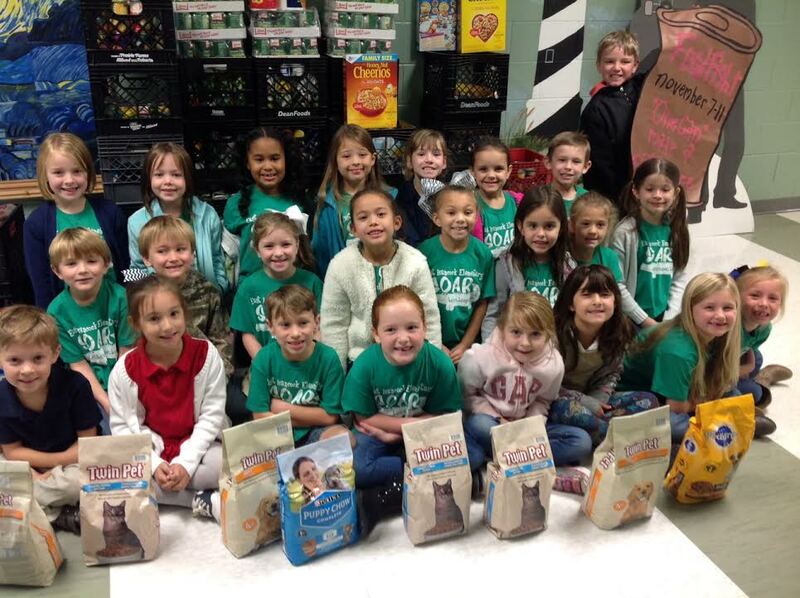 The classes that collected the most donated food per grade level were Melissa Brown's 3rd Grade, Alma Meadows' 4th Grade and Patti Thompson's 5th Grade. Students pictured in front (left to right) are Mathieux Sims, Martin Miller, Aiden Boudro, Jabryia Hawkins, Jamaya Brown, Nadia Lewis and Hanna Guyer. In the rear are Michael Adams and Megan Russell. ​For the past five years Sandra Everhart, owner of Sound Insurance Solutions in Bay St. Louis, has hosted the “Food Fight”, a friendly competition among local businesses, aimed at filling the shelves of the Hancock County Food Pantry. Each year, Everhart and her staff deliver a list of the most needed items to local businesses in hopes they will participate in the “Food Fight”. This year about 12 to 15 businesses collected 1,224 non-perishable food items and pet food. Advantage Title won first place in the “Food Fight” this year by collecting 227 items and was awarded a two-foot tall trophy made from empty food cans. ​Gerson Hernandez and Lisa Gowen with Advantage Title. East Hancock Elementary School recently conducted a food drive to benefit the Hancock County Food Pantry and collected a total of 1,940 pounds of food and supplies, 533 more pounds than collected last year. Mrs. Cindy Ladner and Penny Lallagini's class was the K, Grades 1 and 2 winner. This class brought in 334 items. Front bottom, L to R, Nate Pyron, Adelyn Phillips, Reid Coast, McKinlee Campbell, Lulu Green, Eliana Lipari, Alex Griffith, Lexi Dreher. 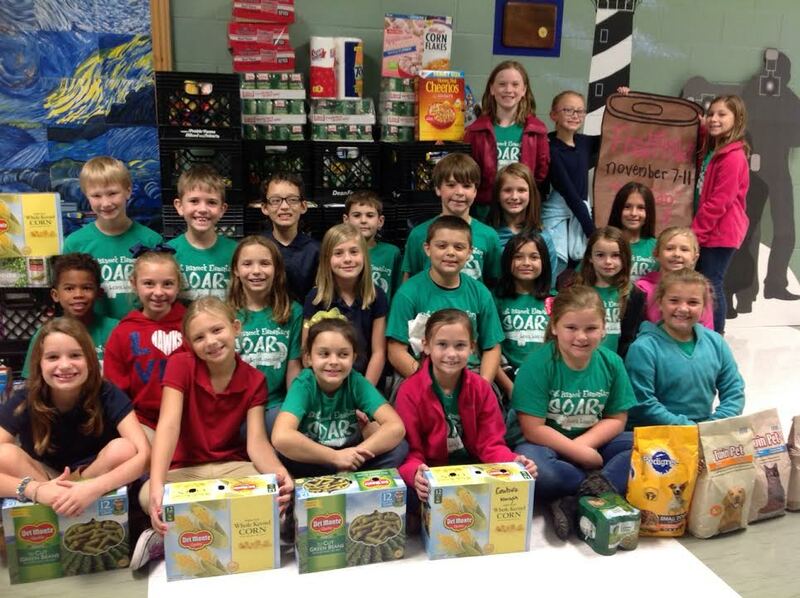 This is Miss Amity Gipson's class of 3rd graders who won the competition between Grades 3, 4 & 5 by bringing in 163 food items, beating out another class by eight cans. 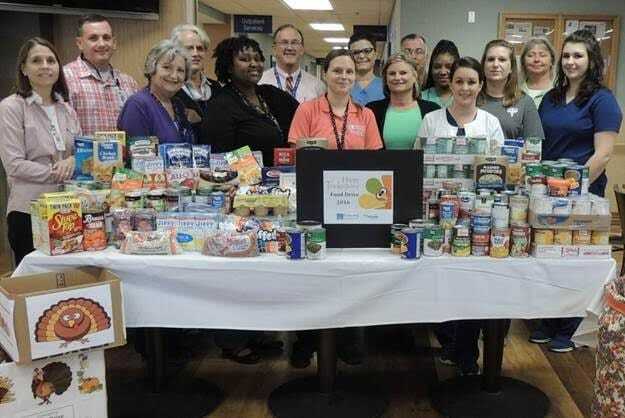 Hancock Medical Center sent 628 pounds of food as well as cash donations to the Hancock County Food Pantry as part of the hospital’s annual Thanksgiving Food Drive. making a donation to the food drive, that they are making a great impact in the community. volunteers with a dinner and tribute in downtown Bay St. Louis, this Second Saturday, May 14th. thank them for all they do in our community! important work in this community. It is something we should all be proud of. provide food for themselves or their family. Pantry has always been operated entirely by volunteers for the past 30 years – there is no paid staff. funds spent are used to buy food to give away to those in need. located at 9972 Highway 603 in Bay St. Louis. 473,000 pounds of free food given away to families last year. community, we could not continue our mission to help Hancock County families. be made through PayPal on the Food Pantry web site at hancockcountyfoodpantry.org.